As part of your program monitoring strategy, you have the option to follow-up with your learners. An automatic follow-up message is sent to all learners who haven’t activated their account 7 and 14 days after receiving a program invitation email. A message is also automatically sent 24 hours before the end of a program to all learners who haven’t yet completed the program. An automatic follow-up message can be sent to all learners who have not been active on the session of your program. A reminder will be sent when the learner's inactivity period on the session exceeds 2 days, and another one when it exceeds 7 days. Please note that there will be no more reminder after these two. The Course Progress chart shows learner progress for the courses that make up your program. 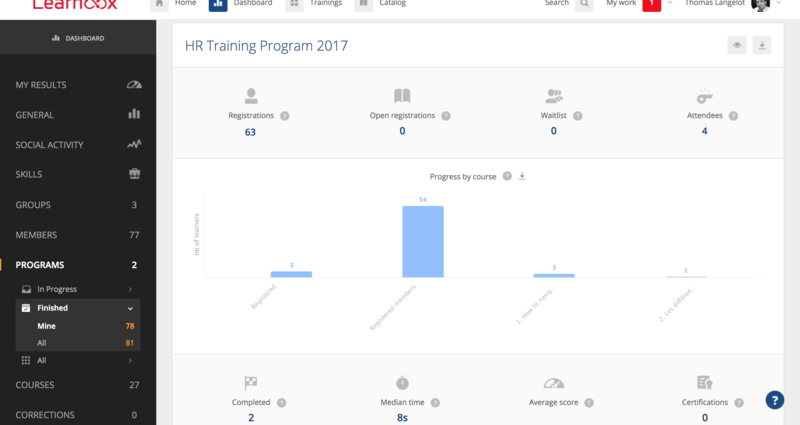 Click on the bars on the chart to obtain a list of learners based on their progress in the program and follow-up with them. "Enrolled": 5 learners were invited but didn’t click on the link in the email invitation. They’ll receive an automatic reminder 7 and 14 days following their registration date. You can monitor follow-up messages sent to your learners. Navigate to the program session menu and click on Send a reminder to access your follow-up message history. 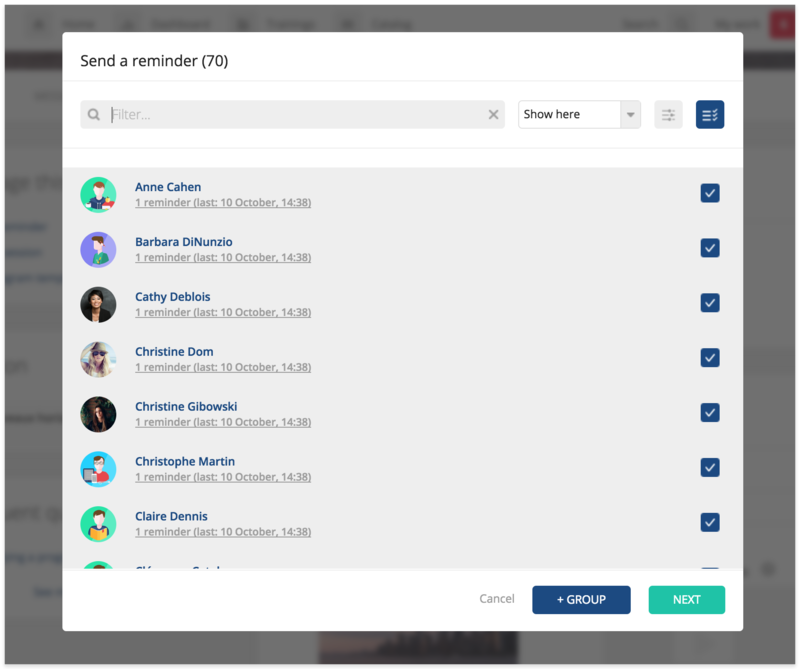 From the Users tab, the platform Owner and Administrators can send reminder emails following learner invitation emails. This concerns all learners that received an invitation to join the platform by email but haven’t registered or set up their account. 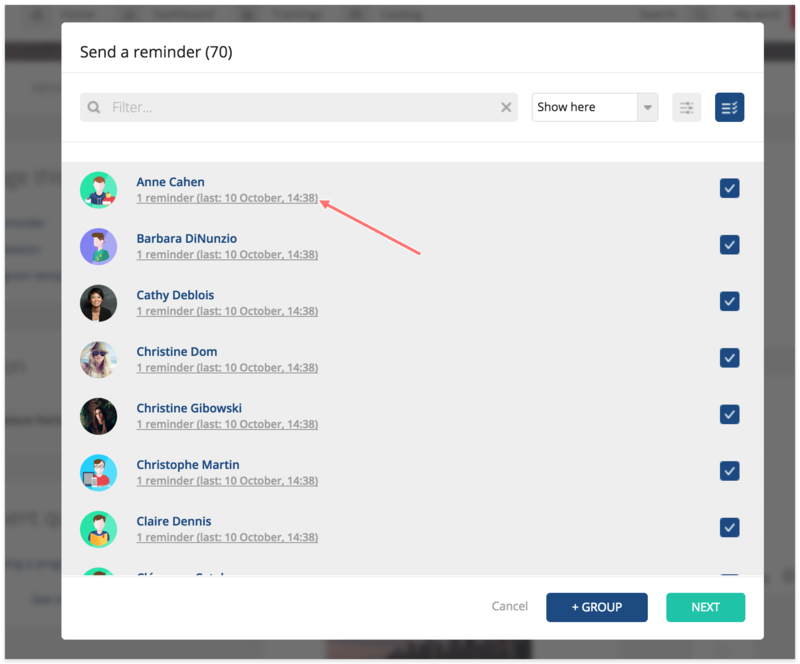 To send reminder emails to your learners, hover over My workspace > Users. Select Pending Invitations > Sent on the menu on the left. Click on Send a reminder. You can also send an individual reminder by clicking on the arrow icon. Please note: if your learners are registered to multiple programs, they will only receive one email if you send them a reminder.